St Mirren was on its way to beating Ross County two weeks ago when match referee William Collum decided to abandon the Scottish Premiership game with the Buddies leading 2-0 after 52 minutes because St Mirren Park had become unplayable. The Scottish Premiership strugglers convene for rematch on Sunday 17 November 2013 and St Mirren is worth a bet at odds of 2.40 with BetVictor, to beat Ross Country provided that the match runs its full course, unlike earlier this month. Paul McGowan and Steven Thompson scored first-half goals to put St Mirren in the driving seat and it broke the hearts of Buddies supporters when Collum called a halt to proceedings not long into the second period. Collum said that the heavy rain during the break had turned the pitch into one that was unsafe and left him with no choice but to abandon the game. 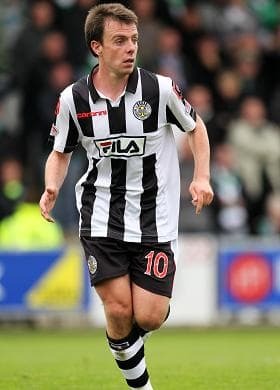 St Mirren bounced back from the disappointment of seeing its 2-0 lead over Ross County got to waste by thrashing Partick 3-0 away from home next time out, whereas Ross County lost 1-4 at home to Scottish Premiership champion-elect Celtic to make its three defeats in its last four matches. And Ross County’s away form, both towards the end of last season and during the start of this term, suggests that it should be longer odds to either beat or hold St Mirren than it is. Ross County has not won any of its last 10 competitive road games, with its six away matches this season resulting in a goalless draw with Hibernian and losses to Celtic (1-2), Kilmarnock (0-2), Motherwell (1-3), St Johnstone (0-4) and Stranraer (2-3). Stranraer is fifth in Scotland’s third tier, which is where Rangers finds itself these days. Above Ross County on the Scottish Premiership ladder and in much better form, particularly when one factors in the home and away data pertinent to the game, St Mirren is over the odds at 2.40 because the Buddies deserve to be around 2.20. Bradford is sliding down the English League One ladder as the newly promoted team loses the impetus that comes with elevation. Bradford is sixth in English League One after 15 rounds but the Bantams have failed to win any of their last half a dozen games across all competitions, although one should note that only two of them took place in Bradford. Coventry is en route to being one of the success stories of English football this term and it is because it is the Sky Blues are Bradford’s opponents that opposing the Bantams makes sense. Coventry, which is trading at odds of 2.50 with Sky Bet, to win at Bradford are only 11th on the English League One ladder because of its 10-point deduction. By rights, Coventry should be fourth and all that in spite of playing its home matches 30 miles down the road in Northampton. Four wins in a row, including a 3-1 defeat of table-topping Leyton Orient in Northampton, have put a smile on the face of Coventry’s long-suffering fans and the Sky Blues, whose away games are attracting large attendances because many of their supporters have decided to spend their money following their heroes everywhere around England except Northampton, represent a good bet to make it five victories on the spin. Both Bradford and Coventry have played Wolverhampton in the last few weeks. Bradford lost 1-2 at home to Wolverhampton, whereas Coventry drew 1-1 at Molineux. Bradford was the feel-good story of English football last season when it qualified for the English Capital One Cup final. Coventry will be this term’s Bradford if its gains promotion from English League One in spite of its off-the-field dramas.